Sierra Sentinel News- Serving The Sierra Nevada Communities: PG&E says too expensive to put power underground??? 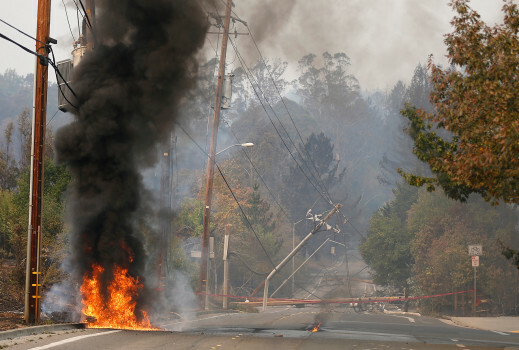 PG&E says too expensive to put power underground??? bury them as they should!!! refused; would rather pay for burning down your home. Over time, however, they would save money and prevent fires. They need to be forced by the PUC and the state governments an local governments, too bury all power lines. PG&E cannot be allowed to continue allowing these fires and blaming the public's trees for causing these fires. This is insane!! Force PG&E to bury all lines!!! Really, you want to pay 5 to 10 times your power rate as it would cost millions to bury the lines. You do this back in the 50's when Arnold was being developed like any new subdivision. that's ridiculous. It would be a one time expense, not an ongoing billiondollar expense every year, not including the fire payoffs. What is wrong with PG&E. I think I know. They could give a sh** about us, just take our money every month. So true. They got away with only paying $50 G's to each homeowner they and cal fire burnt out in butte. lots cheaper they think. Not cheaper over time or with public relations, tho.